Stargazing is one of those activities that anyone can enjoy. There’s a great big galaxy out there and it’s fascinating, and there’s always a chance you might see a UFO or a giant asteroid set on a collision course for the planet. You never know. The Nexstar Evolution 6 is a remote controlled robot telescope that lets even the most amateur stargazer explore the skies. Usually you need to know something about astronomy in order to really get the best out of it. For example you need to know which direction to point the thing, in order to get a look at a particular patch of sky and stars. Which takes some dedicated study and a grasp of direction. With the Nexstar you skip that bit because this bad boy is self-positioning. You can also attach a standard DSLR camera if you’re into a bit of star photography (aka astroimaging), which is pretty cool. It works with the Celestron SkyPortal app (Android and iPhone) which you use to control it with your phone. Your commands being, “that looks neat, make it so telescope!” Which is great because you can just look up different celestial events and view them without all the hassle. Plus it runs via a rechargeable battery that’s good for 10 hours, so you can take the thing out of the city and on the road. Portable star gazing, whatever next? 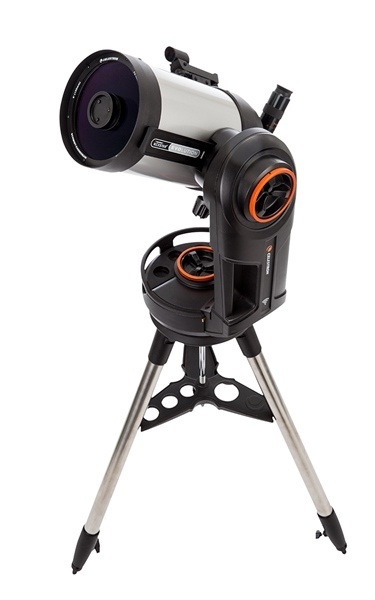 The Nexstar Evolution 6 is $1,199.95. There are also larger models available for the more adventurous (or rich). Donyae Coles – who has written 3196 posts on The Red Ferret Journal.